German philosopher, son of Johann Gottlieb Fichte b. at Jena July 18, 1797- d. at Stuttgart Aug. 8, 1879. He was for many years a gymnasial professor at Saarbrucken and Dusseldorf, and then professor of philosophy at Bonn 1836-42 (ordinary professor after 1840), and at Tubingen 1842-63. 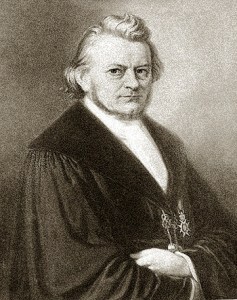 In 1863 he retired from the university and soon afterward settled in Stuttgart. He edited his father's works, founded and edited the Zeitschrift fur Philosophie und spekulative Theologie, and was a prolfic writer on philosophy. In metaphysics his position was that of a mediator between the two conflicting views represented by Hegel and Herbart, and, too, in the interest of theology. His great aim was to secure a philosophical basis for the personality of God. Taking the monadology of Leibniz as the model of a system embracing unity in plurality and plurality in unity, he sought to fuse extreme spiritualistic monism and extreme pluralistic realism into what he called concrete theism. The more important of his independent works are, Beitrdge zur Charakteristik der rteuern Philosophie (Sulzbach, 1829; 2d ed., completely rewritten, 1841); Religion und Philosophie (Heidelberg, 1834); Die speculative Theologie (3 parts, 1846); System der Ethik (2 vols., Leipsic, 1850-53); Anthropologie (18-56); Vermischte Schriften (2 vols., 1869); Die theistische Weltansicht und ihre Berechtigung (1873); and Der neuere Spiritualismus (1878).